The Coffee Genome Has Been Sequenced. Here's What That Means For You. Now that the coffee plant genome has been sequenced, it's only a matter of time until we're all brewing up genetically engineered, super-caffeinated coffee beans, right? Maybe. Here's what we know now about coffee that we never knew before. An international team of scientists has sequenced and published the coffee genome. More specifically, researchers have sequenced the genome of Coffea canephora. Better known as "robusta" coffee, C. canephora makes up roughly 30% of the world's commercial coffee production. The remaining 70% is accounted for primarily by C. arabica, a hybridized offspring of C. canephora. Together, these species comprise one of the world's most treasured agricultural commodities, and are the starting materials for what is arguably the most highly prized beverage on Earth. Caffeine, after all, is far and away humanity's favorite psychoactive drug, and coffee is the vehicle by which most of us consume it – to the tune of roughly 2.25-billion cups a day. Here are the fifteen professions that drink the most coffee. Guess who&apos;s number one. It's safe to wager, then, that coffee would not be so popular were it not for its caffeine content. And that's what makes the publication of the C. canephora genome so exciting. The researchers, it turns out, have done more than identified over 25,000 protein-making genes in the robusta coffee genome. By examining which families of genes expanded in the course of coffee's evolution, and comparing its genome to those of other plant species, researchers co-led by University of Buffalo genome scientist Victor Albert, were able to, in his words, "learn about coffee's independent pathway in evolution, including — excitingly — the story of caffeine." 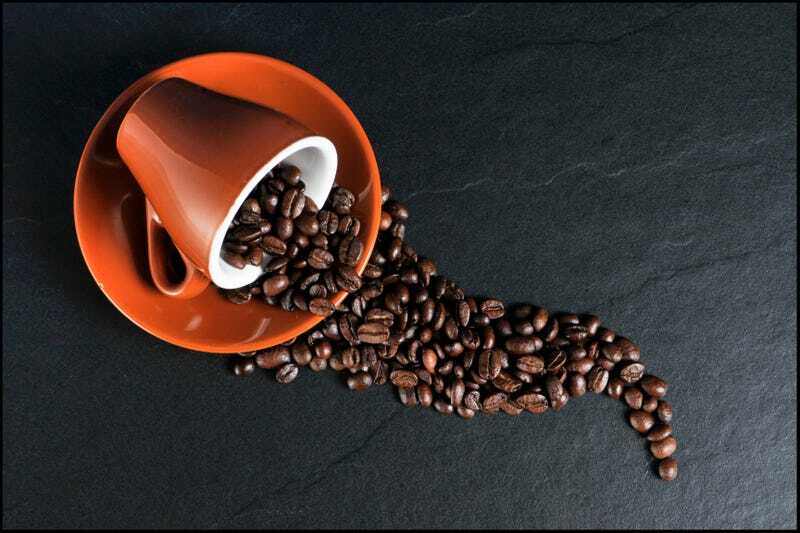 The genes responsible for coffee's caffeine-production code for a group of enzymes called N-methyltransferases. The N-methyltransferase family is ancient, and has evolved and diversified over many millions of years to perform a variety of tasks in innumerable species of plants. Previous research has shown that the caffeine in plants like tea and cacao is also produced by N-methyltransferases. What the newly sequenced coffee genome reveals is that these C. canephora's caffeine-producing enzymes evolved independently from those in cacao and tea. "If you were to look at the family tree of N-methyltransferases, you would find that the genes responsible for caffeine synthesis in coffee have evolved along an entirely separate branch from those in charge of caffeine synthesis in chocolate," says Albert. You might find enzymes in chocolate that are closely related to the caffeine-producing enzymes in coffee, he explains, but they would have nothing to do with chocolate's caffeine-producing enzymes. Both plants rely on N-methyltransferases to generate caffeine, but they took different evolutionary routes to do so. It's a classic example of what evolutionary biologists call "convergent evolution." All this talk of N-methyltransferases and caffeine production likely has you wondering: Will having a sequenced coffee genome – complete with brand new insights into the evolution of coffee's caffeine-production – enable us to breed strains of highly caffeinated super-coffee? In a word: Yes. In any agricultural plant, genome sequences have become a prerequisite to doing any sort of advanced breeding or genetic modification. The same could theoretically be said for traits like flavor and aroma. The researchers identify six genes responsible for the production of linoleic acid, a fatty acid that contributes to the the taste and smell of coffee. "We don't know the precise role of those genes in that flavor production," says Albert, but a sequenced genome will serve as a useful reference for anyone looking to develop new varieties of coffee. "For [the contributions] we know about," says study co-author Patrick Wincker, a geneticist at France's Institut de Génomique du CEA, "these findings open a new way to correlate aroma and gene families, and potentially to try new combinations of these genes." Flavors and aromas are complex traits, adds study co-author Phillipe Lashermes, a researcher at the French Institute of Research for Development, "but based on the sequence it would be easier to develop tools to better understand such traits." All that being said, Wincker isn't convinced "that a heavily caffeinated coffee will be so valuable." Neither is Albert. "Regular coffee, is already pretty super caffeinated if you ask me," he says. "I can't image why people would want more caffeine in their coffee. But a strain of coffee that was naturally caffeine free," he says, now that would be something. Knowing which genes are responsible for coffee's caffeine content would allow breeders to perform gene "knockdowns" that block the plant's ability to produce the stimulant, says Albert, who sees "no reason why that can't be a next step." Knocking down coffee's caffeine-genes would carry the added benefit of preserving decaf coffee's flavor; modern decaffeination methods involve chemical processing that can strip coffee of its flavor as well as its caffeine. But caffeine in the leaves, fruits and seeds of coffee plants has been shown to ward off insects. It also contaminates the surrounding soil, making it difficult for competing plant species to germinate nearby. Might stripping the plant of it's caffeine-genes rob it of its ability to protect itself agains threats? Not necessarily. According to Albert, breeding a caffeine-free coffee plant would only be a problem if you tried to replant it in its native environment, where it would have to compete with its caffeinated counterparts. In modern agriculture, says Lashermes, the germination of competing plants, and the presence of herbivorous insects, can be controlled in other ways. "The coffee plant, unlike journalists, can survive without caffeine," he tells me. The researchers' findings are published in the latest issue of Science.